The Town of Brookline has contracted with an electricity company called Dynegy in order to provide residents with stable electricity prices right on their electricity bills. This program is called Brookline Green Electricity. This affects most Brookline residents. The electricity supply includes 25% more renewable energy than is required by law, which is supplied to Dynegy by a non-profit third party called Green Energy Consumers Alliance (formerly Mass Energy). A portion of what you pay per kWh for electricity ultimately goes to this organization for the purchase of renewable energy, and is therefore tax-deductible. Use this website to calculate your tax-deduction if you are participating in the Brookline Green product. * Not sure if this applies to you? Follow the steps below to find out if you are eligible to receive a receipt for tax purposes, then calculate it and receive a receipt. 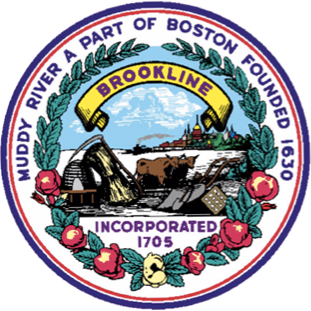 *The Brookline Green product is the default product that Brookline residents formerly on Eversource Basic Service were enrolled in. You are probably enrolled in this program. Click "Get Started" and we'll help you figure it out! If you opted up to Brookline All Green (100% renewable energy), you do not need to use this website. Green Energy Consumers Alliance already has your information and will send you a receipt in the mail.